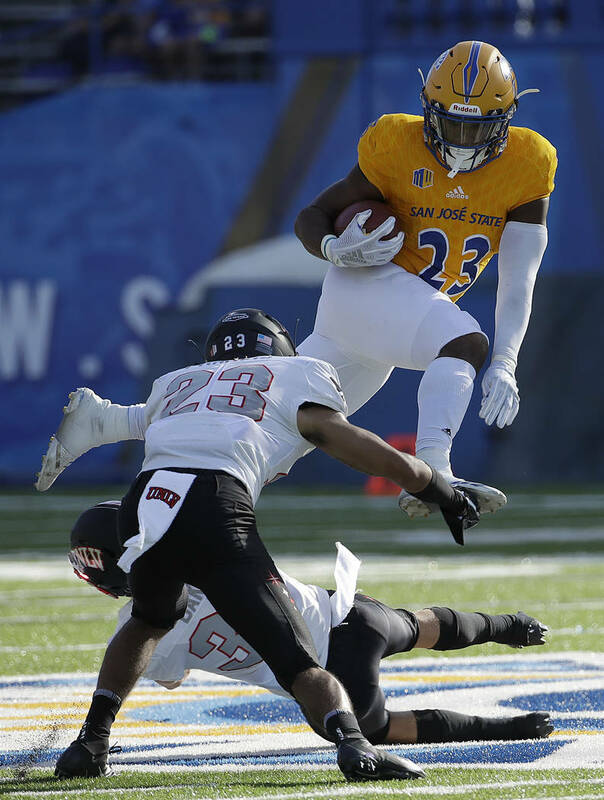 UNLV dropped its fifth straight Saturday, this a 50-37 decision to San Jose State, after which a majority of the announced gathering of 16,165 were able to cheer victory for the first time in 2018. 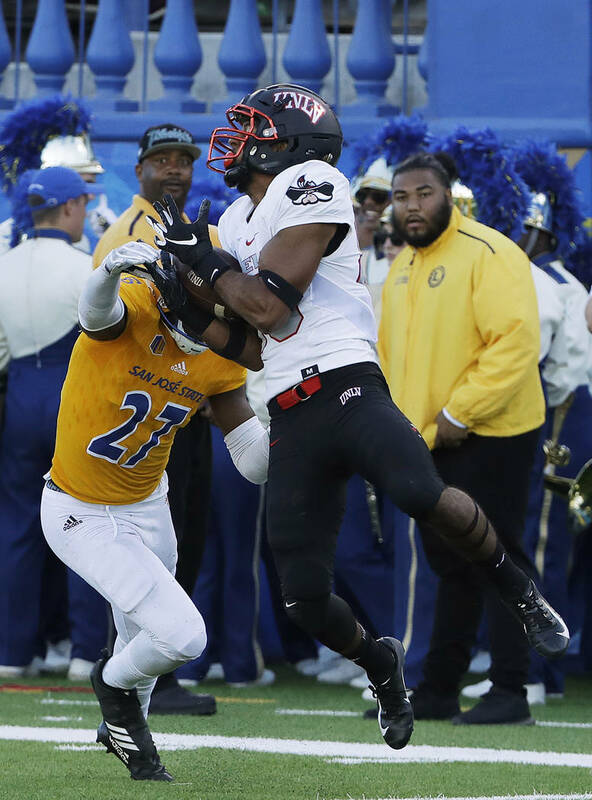 SAN JOSE, Calif. — We are here again with UNLV football, amid the continental slope and rise, the abyssal plain, the thick layers of sand and mud and rocks. It’s a place the Rebels know well, the depths of an ocean floor. 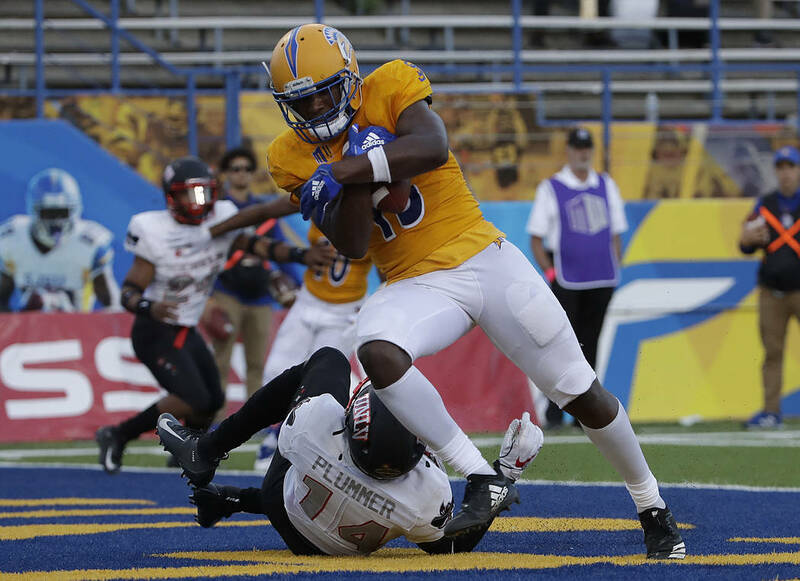 San Jose State is a bad football team, winless this season before Saturday, and yet even an 0-7 side that had been outscored by 17 points on average believed opportunity existed at CEFCU Stadium. That’s what UNLV does for folks. Where there is life — or a game against the Rebels — there is hope. 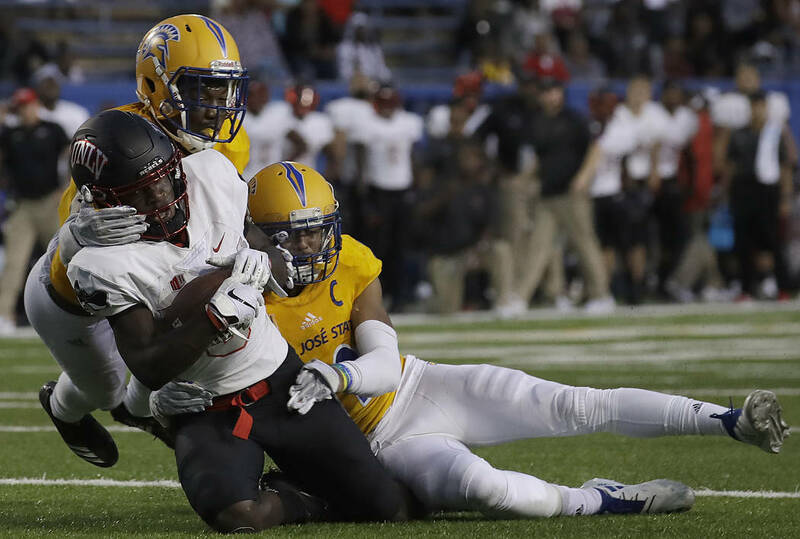 UNLV dropped its fifth straight, this a 50-37 decision to the Spartans, after which a majority of the announced gathering of 16,165 — I seriously doubt there were more than 2,000 in the place — were able to cheer victory for the first time in 2018. 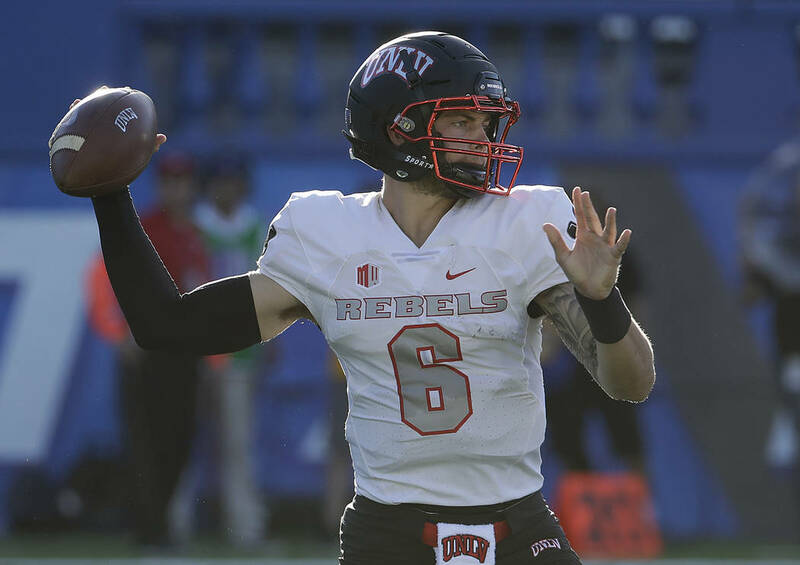 Which put the focus squarely on UNLV in 2019, because while you might be able to explain away some losses without injured starting quarterback Armani Rogers, you can’t this one. 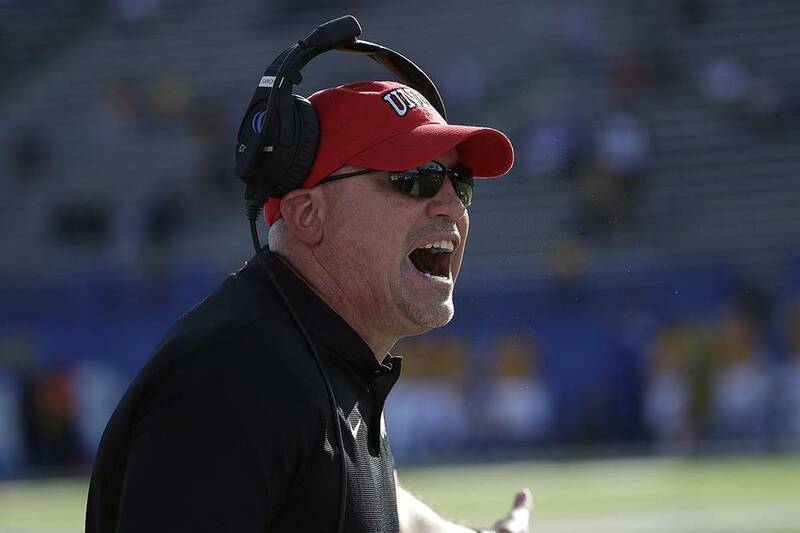 Tony Sanchez is in the midst of his fourth season as Rebels coach, and while there is no question recruiting and depth have improved under his watch — never mind fundraising, of which he has done the lion’s share — there is also no arguing the fact that UNLV has returned to a place defensively known well throughout decades of losing. Which is to say they can’t stop anyone. 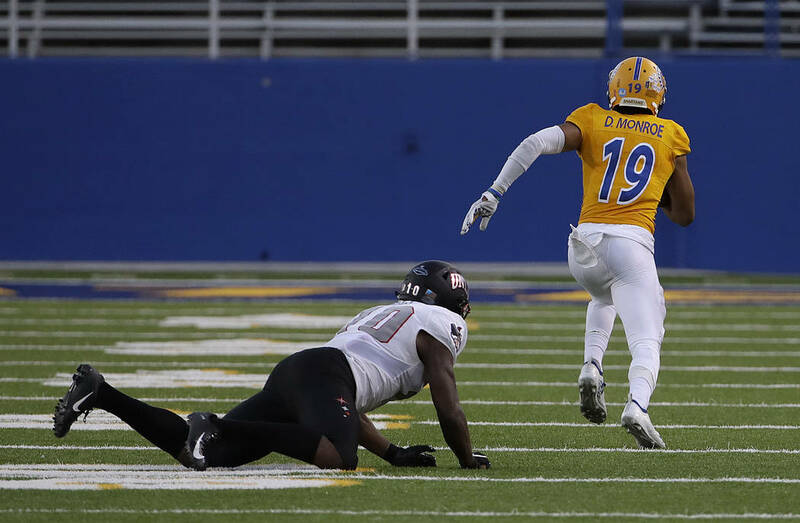 It means the pendulum has swung back toward a familiar place when it comes to those who have led the program lately, meaning talk of contracts and buyouts and who might be the next choice to try to spin straw into gold. But herein lies a critical point not always considered by those whose first reaction to such reality is to fire the coach: Life as a Group of Five program whose history offers zero evidence it’s willing to spend what is needed to make a serious difference in this area makes the thought of moving on from Sanchez now impractical. He is signed through the 2021 season and, if fired before his fifth year, would be owed his base salary over that span, in the neighborhood of $900,000. UNLV also would be on the hook for some assistant coaching salaries. Think about it: This is a program, despite construction continuing daily, that still hasn’t raised all of a projected $31 million to complete the Fertitta Football Complex, that if it opened today, would have a second floor left unfinished. Why doesn’t UNLV first worry about completing the most significant building in its football program’s history? 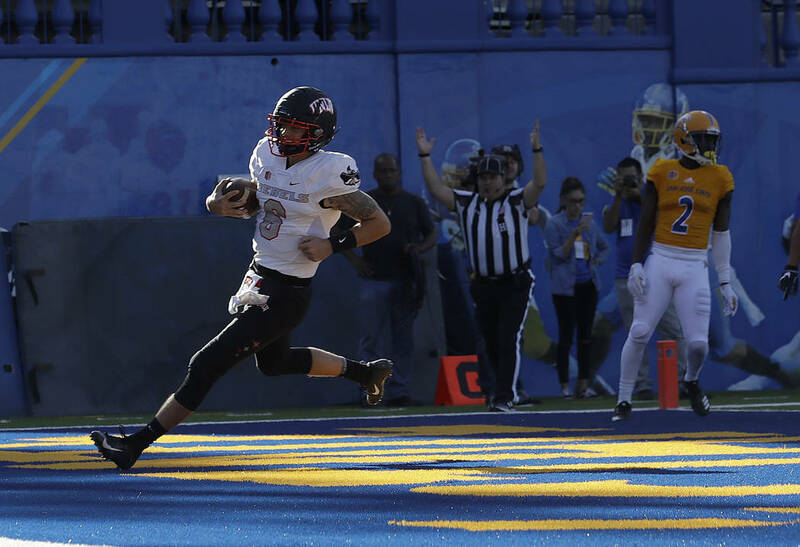 Is he confident about his future at UNLV? Look. This isn’t as easy as some want to believe. 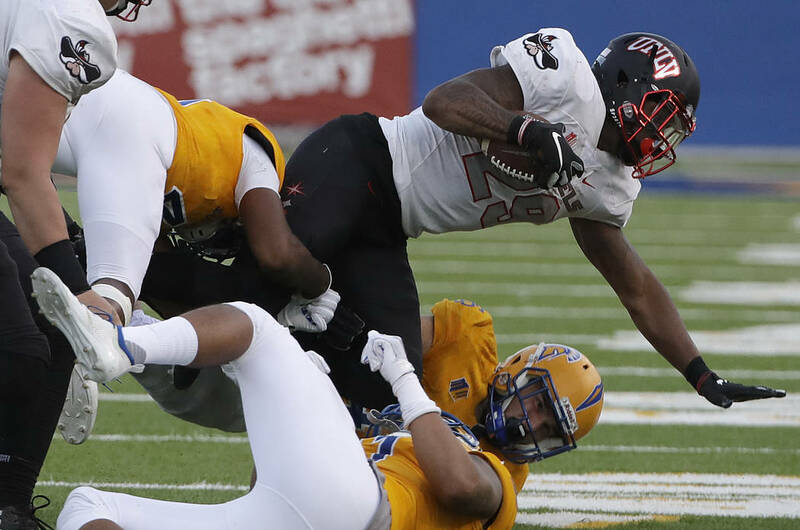 UNLV very well could lose out and finish 2-10. That’s a hard number to swallow. But has athletic director Desiree Reed-Francois uncovered during her brief time some mysterious avenues by which to produce boatloads of money to pay off coaches and then hire at the financial level the Rebels have never traveled in football? They have never paid what it takes, and until they do, firing Sanchez before his fifth season has been completed would likely just continue a constant spiral of mediocrity. While hardly a vote of confidence for Sanchez, her decision would include several layers. She has never hired a football coach at this level. Her resume lacks a significant point that any potential Power Five employment opportunity down the line would certainly evaluate. So if she ultimately decides to move on from Sanchez, for whatever reason, Reed-Francois better know something nobody else does at UNLV when it comes to money and how much she would have to go searching. The Fertitta facility (if totally completed) and an impending new home in an NFL stadium would pique the interest of some names, maybe even a few stunning ones. But it’s not that easy at UNLV, because it never is. You’re either all-in with this stuff or not, and the Rebels have never proven to be so.